Since I just posted a review of Betrayer on Monday and recently picked up the latest book in the series, Legacies of Betrayal, I have been thinking about the Heresy series lately. I immediately thought about my favorite books from the Horus Heresy and came up with my Top Five. Take a look and see if you agree. The first novel to feature the Lord of Iron, Perturabo, really hit it out of the park for me. I wasn't expecting much from this novel going into it, not because I expected it to be bad, but there just wasn't much written about the Iron Warriors at this point. Graham McNeill really did a great job at fleshing out a legion and Primarch who were pretty much a blank slate up till that point. Perturabo became an extremely tragic figure and really one of the most human and relatable traitor Primarchs. He realized that he had made a mistake, but it was too late and he was committed at that point. It was also really nice to see all of the connections that were made with the 40k classic Storm of Iron and of course it also had a very engaging and action packed plot. This, in my opinion, has the best characters from the Shattered Legions I have seen so far in the series. Who doesn't love a Raven Guard ninja? Aaron Dembski-Bowden's debut novel into the Horus Heresy didn't pull any punches. 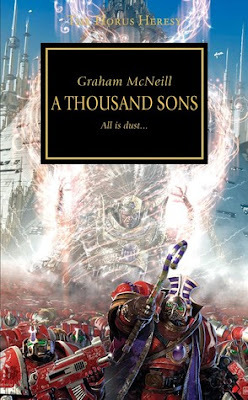 This book spanned the largest chunk of time we've seen so far, showing the fall of the Word Bearers legion in its entirety. Yet again, another Primarch who hadn't had much screen time finally got his time to shine. Lorgar may not be the most tragic character, and honestly his choices are pretty poor and petty at times, but there's no doubt that his fall is captivating. It's like watching a train wreck in slow motion, of course the Emperor's choice of punishment shares some of the blame. We are also introduced to one of the series' fan favorites with Argel Tal. Aaron has a talent for taking someone who would typically be the bad guy and making them sympathetic and relatable, even when they are committing mass genocide. This is also are first real look at the Custodes and what they are capable of, as well as our first peak at Aaron's take on Konrad Curze and Sevetar. 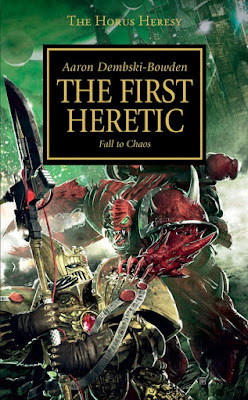 All in all, The First Heretic is pretty much a must read. 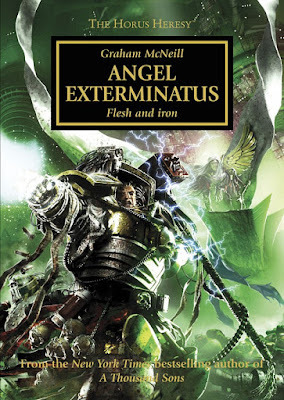 I remember thinking this was the best Warhammer novel I had read back when this first came out, period. I think the Thousand Sons are still seen as the single most tragic of the traitor legions, since they were pretty much forced into turning. Most of my favorite books involve some form of world building and Graham McNeill did plenty here with establishing the legion's culture. They really seemed unique from the rest of the legions, probably too unique, which lead to everyone else being afraid of them. There are just too many great moments to list here, the Eldar titans, the council of Nikea, the actual razing of Prospero. This was one of those novels that was impossible to put down once you started. I am definitely excited for McNeill's next Heresy novel, The Crimson King. More Magnus is always a good thing. Now it's time to see how they actually turn to Chaos. 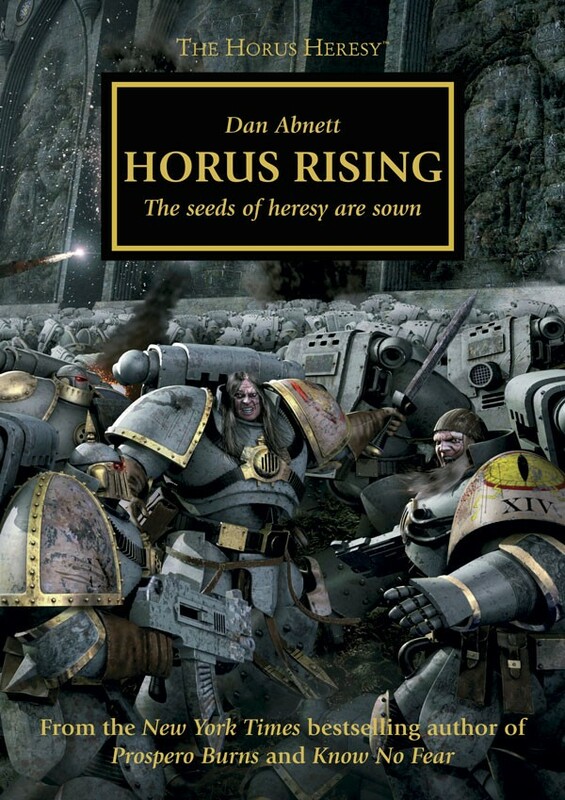 How could I have a list of my top favorite Horus Heresy novels without including the one that started it all. This is the book that kickstarted an entire franchise and brought us one of the communities absolute favorite characters, Loken. Who could forget the first time they saw a Primarch brought to life on a page? 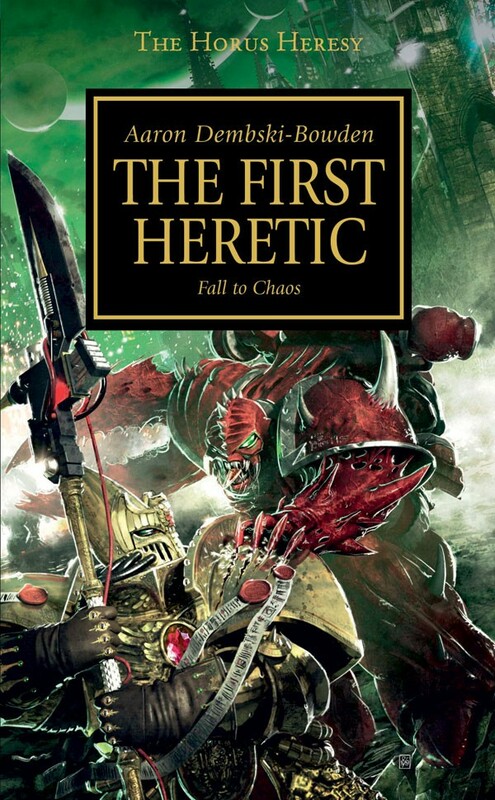 There was so much to take in that first time you read it, the Primarchs, the 30k setting, the Imperial Truth. It was all so different from 40k, yet at the same time familiar. This one is a little odd since it's just part of a trilogy, but I would argue that it is the strongest of the three. 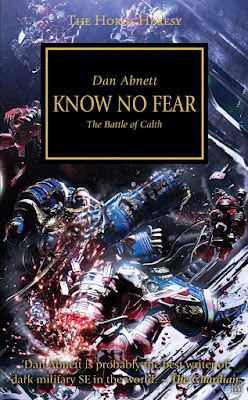 Know No Fear is by far, my absolute favorite Heresy book. The tension and action just keeps ramping up throughout the whole book. The mark of Calth counting down towards the moment of betrayal the whole first half was awesome. There are just so many cinematic moments in this novel, such as the first shot fired, the space ships falling from the sky, and some top grade Primarch action. 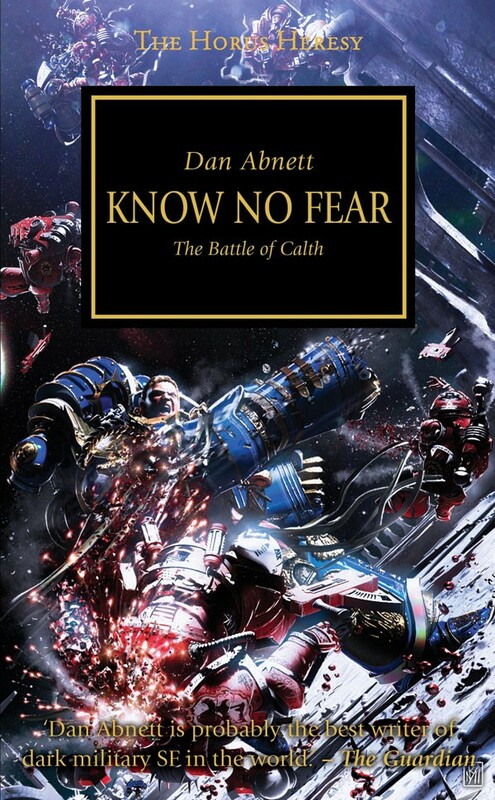 I have loved all of Dan Abnett's contributions in the series, but I don't know if he'll ever be able to top this. He took the Ultramarines, who are widely ridiculed in 40k, and made them one of the coolest legions around. Roboute Guilliman was great, even though he was absent for a large portion of the story and the Word Bearers really got to show their true colors for the first time as a whole legion. If there is a Heresy book I am going to reread first, it'll be this one. Well those are my top five Horus Heresy books. I pretty much had the top three decided from the get go, but the bottom two were hard. There were so many other great books that could just have easily been in those spots, like Betrayer, Legion, Fulgrim, Mechanicum, Scars, and Prospero Burns just to name a few. That's not even including the short stories, which if I had to choose The Last Church might win out in that bunch. What do you think of my list? Do you agree or would your top five be completely different? Let me know in the comments below!